It’s really hard to get my kids to disconnect from electronics. This goal has actually been easier for me to stick to with the help of The Rainbow Unicorn Manila. Admittedly, I allow Gelli screen time when I really need quiet time. But I have also noticed a one to one correlation to her bad behavior and the amount of screen time she has on a daily basis. It’s like something happened when I took the iPad away. She suddenly was able to focus on what I was saying a little bit easier, AND she wasn’t as combative. Teachers Mika and Joice from The Rainbow Unicorn Manila contacted me a while back asking if they could send Gelli a small gift that they were working on which they thought would be perfect for her. 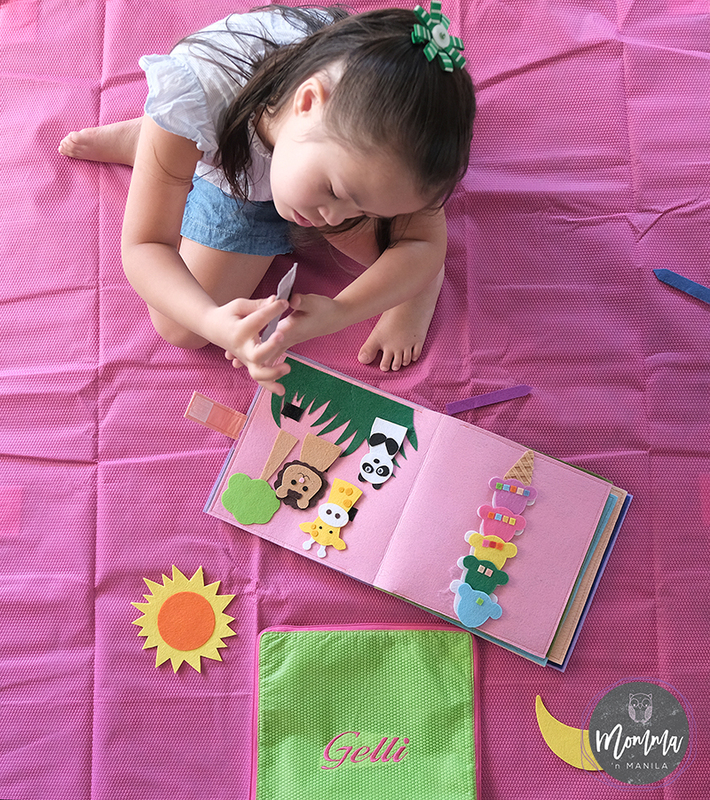 Through their small business and their jobs as mommas, a teacher, and a therapist, they are able to combine their advocacy of playing without gadgets and the mindful parenting of their son Gavin with the creation of these personalized cloth activity books. The books come in different themes focusing on real life activities and professions, while nurturing creative and imaginative play. Kids get to be kids, AND get to pretend play in a way that not only furthers real world experiences, but the books also foster the development of fine motor skills through tying laces, hanging felt clothes on a clothesline, and even create a better understanding of identifying emotions through velcro activities too. Actually, I see so much value in the products that they are providing for mindful mommas like me that I ordered my own books for my inaanak, Giuliana’s second birthday. Even the mats are amazing too! Funny back story to this photo: We were asked to be part of a video sharing a few of the many reasons why we love Mustela Philippines, and how it has helped Gelli with her very sensitive skin condition. Whenever we go to a photo or a video shoot for Gelli, there are a lot of things I pack in her little suitcase. We pack well. We pack for time that will be spent waiting. One of the things that we were told to bring besides the obvious change of outfits and shoes, was a selection of Gelli’s favorite toys. And of course, this activity mat was number one on the list. She loves the little felt dolls, and when asked what their names are she switches back and forth from them being sisters to cousins. I think it’s one of the cutest things ever. 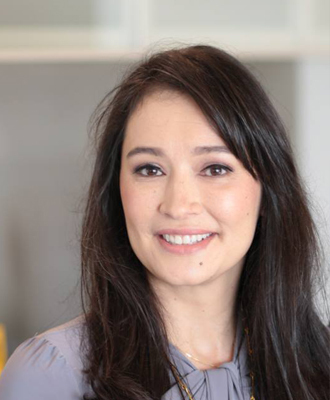 Ok, so Teachers Mika and Joice can create personalized books, activity mats, and even busy boards for your kiddos depending on what you would like your child to work on or master. They do this with an extensive questionnaire that they ask you to fill our before they even begin. Because they create each item for your child, they ask questions about what your child is interested in, they ask what your child might be working on, (in terms of mastery, goal setting, and milestones) and they ask other questions which all make it much easier for them to create a truly personalized item for your child to play with. 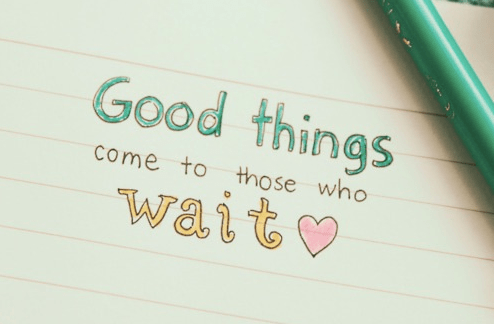 WHY THE WAIT TO RECEIVE YOUR PRODUCT? Take note: EVERYTHING IS HAND MADE. These items are all one of a kind. MADE TO ORDER. According to your child’s preferences and individualized goals. That automatically means a little bit of a wait, right? And you know the saying? 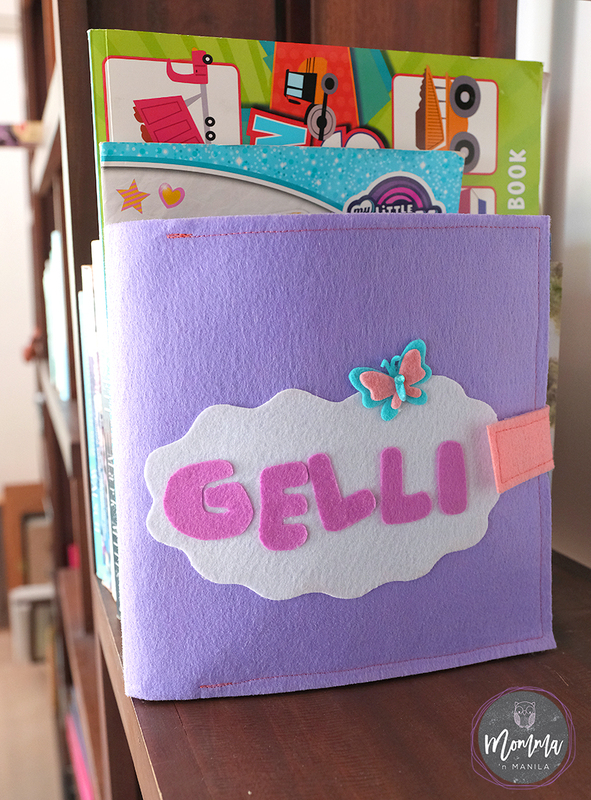 Gelli super loves her books. I’m sure your kiddos will too. And I promise, they are super worth the wait! Loved this post! I have long thought that with so many electronics that kids were missing out on better things! Such a cutie, busy girl! I remember that my daughter said that she wants to have a busy book and i said that we can’t buy that here in our country, And oh, she would love to have the felt dolls, too! I’m sure if you reach out to Mika they would be able to ship what you need!